VerySmallKitchen, Annexe and Pigeon have been invited by Ladies of the Press to collaborate on an exhibition entitled A Pigeon, A Kitchen, and an Annexe: Sites of Alternative Publishing at the Five Years Gallery, London, from 17 February to 3rd March 2012. 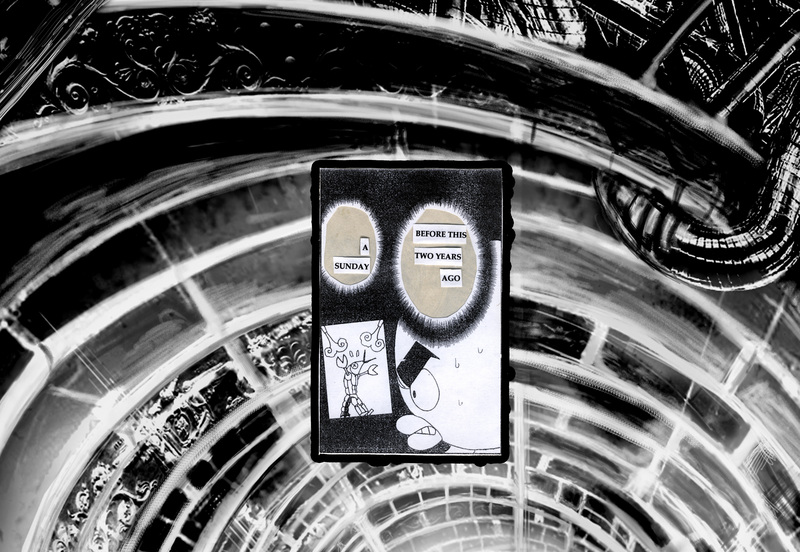 This blog post is a gathering of materials around VerySmallKitchen’s contribution to the show, which involves work by Paul Antony Carr, Sarah Jacobs, Paolo Javier, Lisa Jeschke and Lucy Beynon, and seekers of lice. In X Marks the Bokship, Lucy Beynon and Lisa Jeschke unfurl a 2m x 1m drawing that is one part of Five Live Performances (Ink on Paper), a project which will take different forms in the exhibition and on this blog. 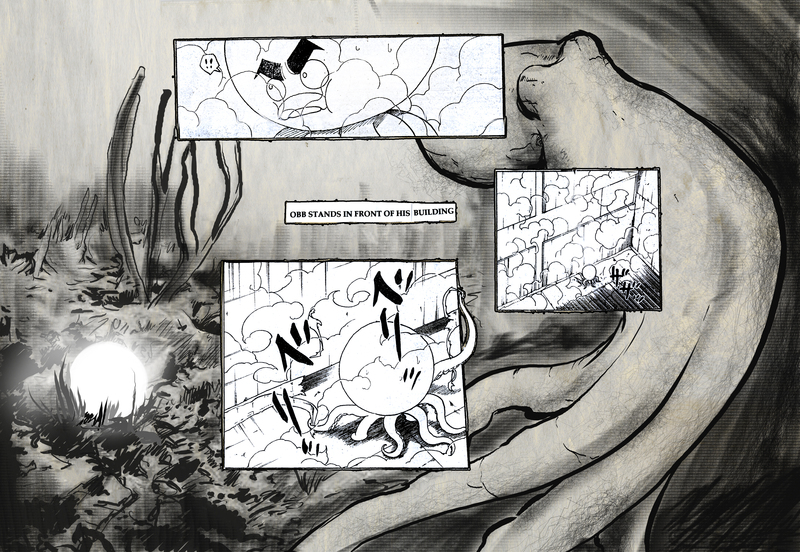 The different parts of this project range in scale from this large drawing to a box of sixty A5 pages and a text in 3pt font. What happens to scale across these different formats? When physical size and quantity is removed, what becomes invisible and what is emphasised? Five Live Performances began as a response to a set of workshop instructions from Chris Goode. The work produced becomes a score for its own movement across formats; a musical score for actual and conceptual performance; it scores itself into histories of black squares and blank/black pages. It is looking at the different parts of Lisa and Lucy’s project that suggests PAGE as an organising principal for VerySmallKitchen’s contribution to this exhibition. 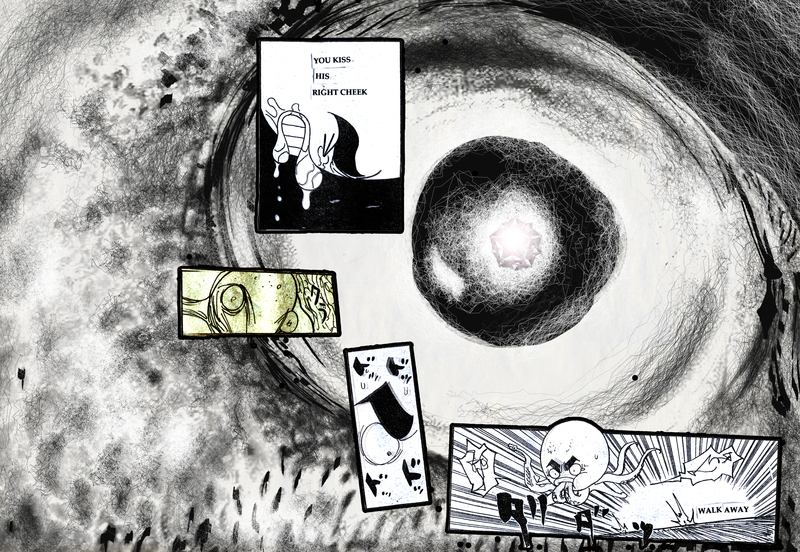 A page that mediates entry into space and conversation. Changes of meaning and emphasis from web page through page into sculpture. 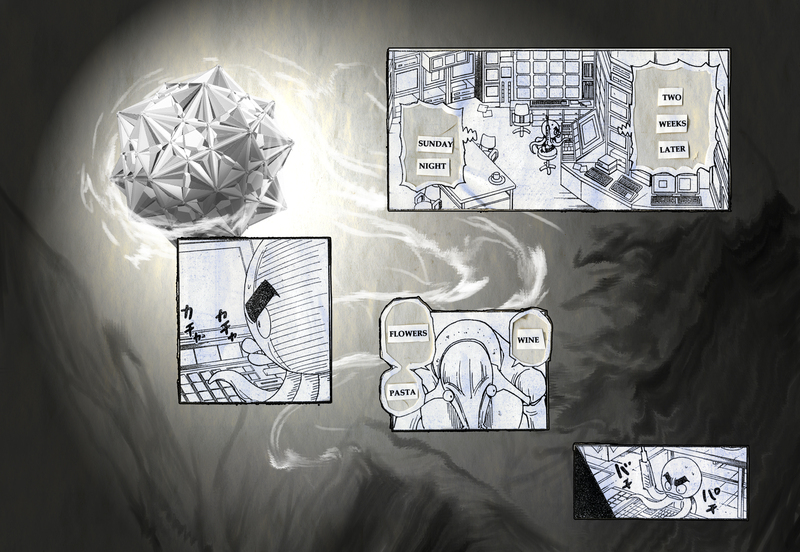 A page-facilitated space. I have been thinking about how to present your projects for the exhibition. 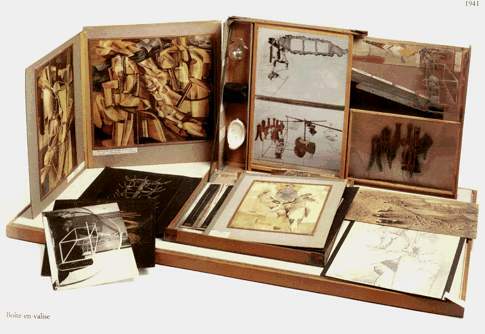 After various options, I have decided to present three archival boxes (photo attached) – one for each of you. Some motivations: The (archive) box seems a useful container for thinking through what kind of space is being formed by this project. 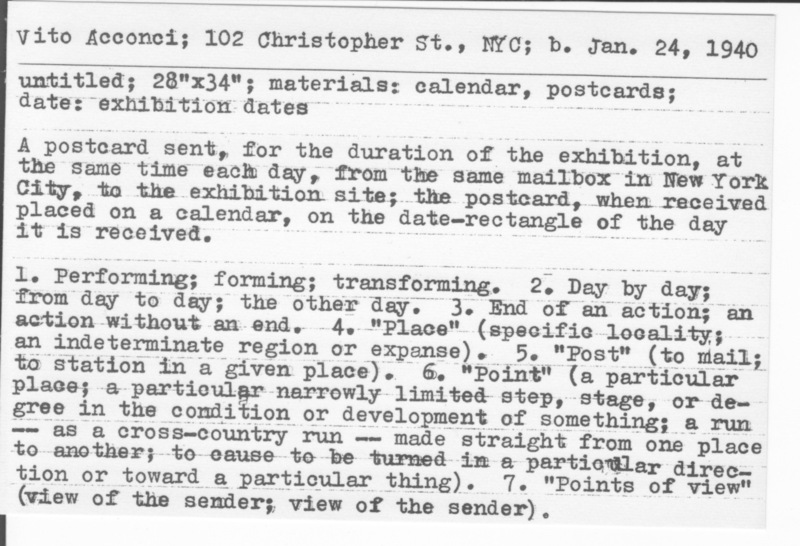 It can be an archive or not, an art work or not (Cornell’s boxes/ Duchamp’s boîte en valise/ Warhol’s Time Capsules, Hiller’s Freud Archive)…. 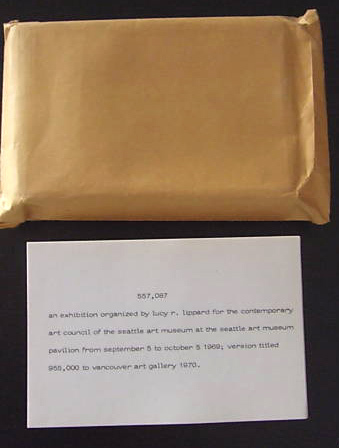 Top: Lucy Lippard, 557,087,” curated by Lucy Lippard for the Contemporary Art Council of the Seattle Art Museum, 1969. 10 x 15 cm, 100 - 138 artist's cards in brown envelope. Below: Vito Acconci’s contribution. 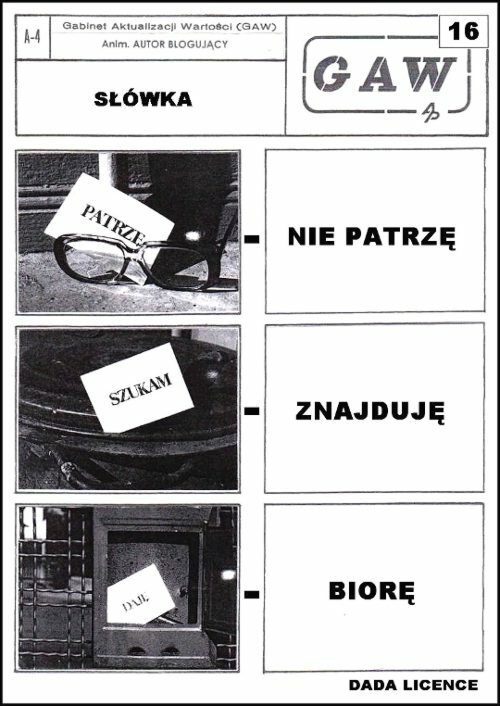 plus the index card writings of Lev Rubinstein; and the A4 Gallery, founded by Andrzej Pierzgalski in Lodz, Poland, in 1972 (whose shows comprised a single sheet of A4 paper placed within the 80×140 Gallery). 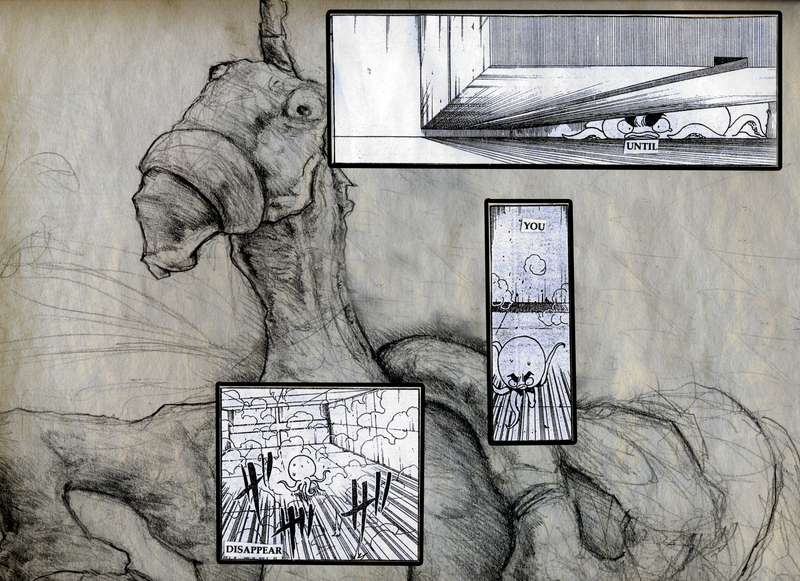 All navigations between writing and art practice that are valuable sources whilst also highlighting the different emphases of your own work and this moment…. 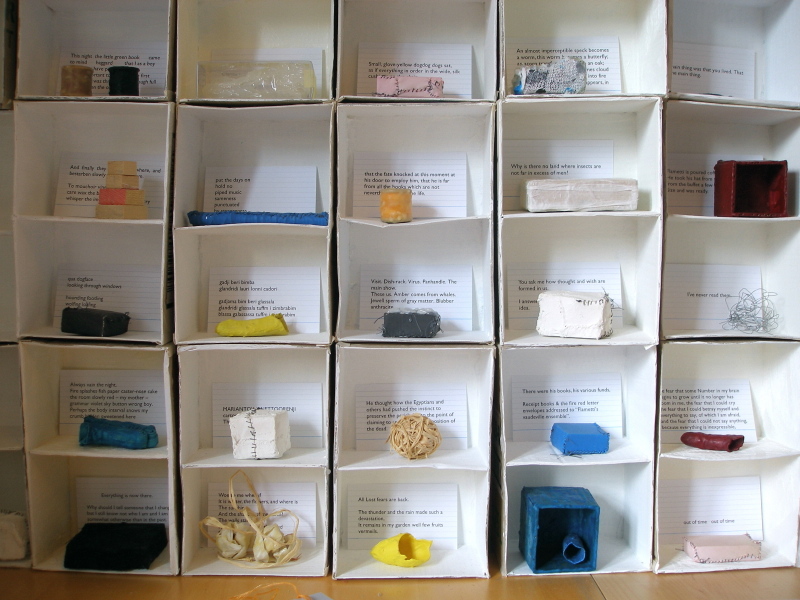 Alex and Paolo – I envisage the principal component of your box will be a print out of the OBB book. People will be able to look through the boxes – I am imagining an unbound stack of pages – and the exhibition will be used to “publish” the book so that it is available and distributed, but only within the Five Years gallery. Perhaps, Paolo, you imagine other publications in the box? Other books by yourself (those you have sent me?)? Other materials? Let me know if so. NOTE: This publishing of a book during/as an exhibition develops a trajectory from Paolo’s VerySmallKitchen residency at the AC Institute, New York for the Department of Micropoetics project in 2010, which used the gallery as a work space for finishing a collaborative project. 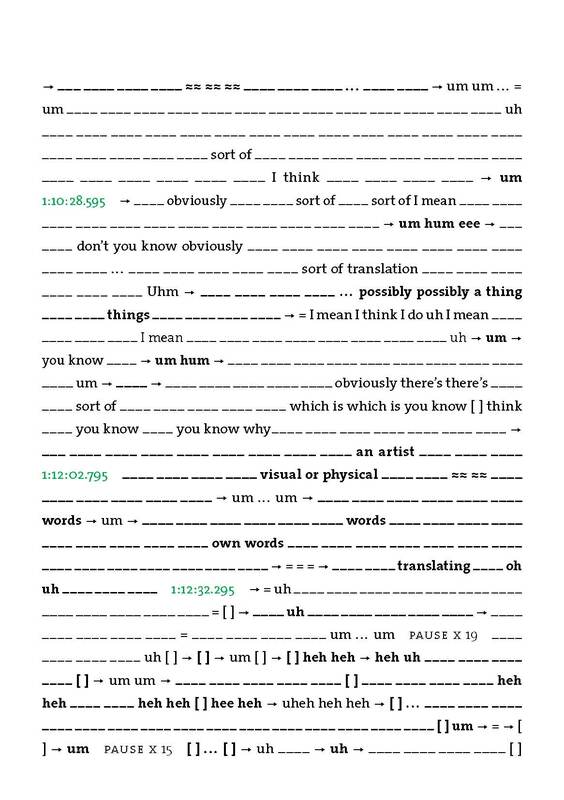 Sarah – I have tried displaying the printed pages of Uh Duh on the wall. I thought such a display might be a useful way to insist upon Uh Duh as a text to be read, but I don’t now think this is how I want to use the opportunity of this exhibition. Instead, I suggest we have a pile in the box (in chronological order) of all your printed books, topped by Uh Duh, along with a bibliography. 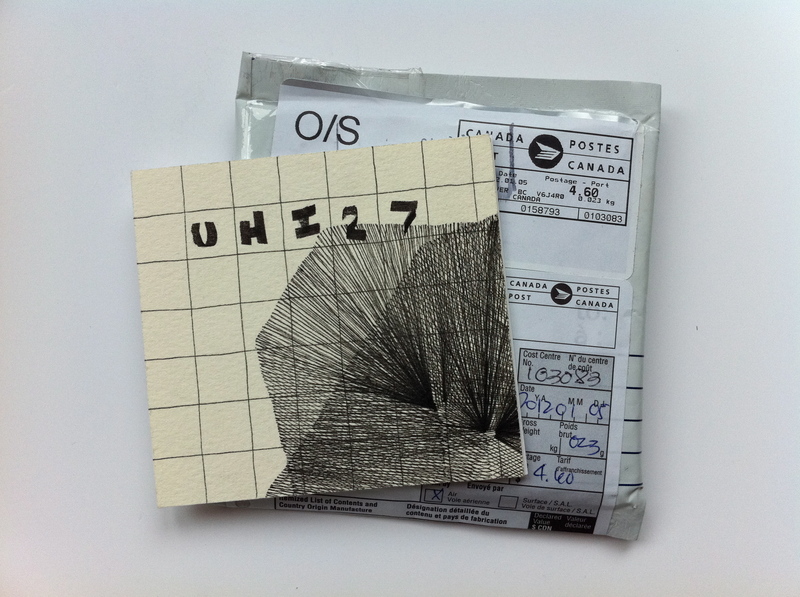 Paul – I think one starting point for this project was the small card you sent me of one of the image-text pieces from your residency on the VerySmallKitchen blog. 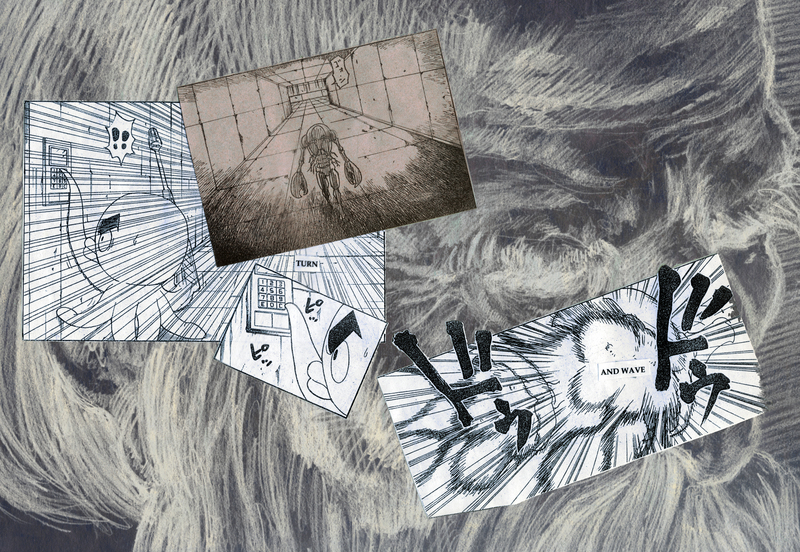 I was interested in the equal emphasis on both sides of this card (the image on one side/ text the other), and how – unlike the blog post’s downward scroll – to read the card required turning over, one side concealing the other in order to be comprehended. Actually, I think this card might be enough. But I offer the box space to you in this letter, whilst also wondering (and this applies to all of you) how two aspects of these boxes relate: how they are both an invitation to you and my own way of framing the work you have already contributed, taking into account budget, time, and the discussions I have had with Annexe, Pigeon and Ladies of the Press. A key part of these discussions has been LOTP’s definition of themselves as “editors” rather than “curators” for this project. I am interested how each of us might define, imagine, choose between, combine, adapt, or outright reject these terms. I think my own response here has been to foreground neither, seeing instead what identities and lexicon’s might in time emerge from thinking about the exhibition as a distinct form of publication and distribution for practices that also exist in many other locations. The boxes will be displayed with this letter. VerySmallKitchen’s contribution to the show takes shape alongside those by Annexe and Pigeon. We have met several times to talk about the show, and are working simultaneously so I have an incomplete knowledge of what these projects will be. In one meeting we agree an aesthetic of the overall space connected to ideas of press room. …. We are completely following the idea of creating a live press room “Pigeon Press Room” within the Five Years space, in which the main activity will take place during the Private View on the 17th (and the residue of this will be left over to remain throughout the duration of the exhibition’s run). This press room will be a hectic process of creating outputs, edited and effectively ‘manned’ by the three of us as editors. seekers of lice sends me a photograph. We have been talking about both performing and installing a version of the talk piece A Minor Poet of the Twenty First Century which involves the shuffling, reading aloud and discarding (throwing down) of texts written on index cards. In my mind I connect this to my recent reading of Wayne Kostenbaum’s Humiliation, where he observes that humiliation depends on a triad of humiliated, aggressor, and witness. Maybe, I think, this quote/ insult always provokes the “churning stomach. Dry heaves” that Kostenbaum sees as “humiliation’s soundtrack.” seekers of lice says that it does not. I reply I am reading FLUITEN IN HET DONKER which offers a case study of the exhibition unfolding out of etymology and an associative reading technique. nightclub in Zürich, Switzerland founded by Hugo Ball with Emmy Hennings on February 5, 1916 as a cabaret for artistic and political purposes. At the first meeting Ball read aloud from Voltaire as well as from his own writing. Rilke’s only novel written while Rilke lived in Paris. The novel is semi-autobiographical, neurasthenic and claustrophobic, obsessed with the quest for individuality and artistic expression in the face of death. Pigeons, seekers of lice, very small kitchens, annexes, ladies of the press… A litany of pseudonyms, heteronyms, strung between a novelists fever and outsider corporation. Playful, animal, neutrally and abundantly gendered, architecturally expectant, saying what is not as much as what is. Necessity for selection, cannot have 100s of jars of jam if you have one shelf and one table, one chair one spoon, plate, cup and so on. This is what you might end up with if you use Haiku as inspiration for interior design. Economy of means. And intimacy. How many of us can actually fit into a very small kitchen at any one time? It says something about the type of relations that contingently have to happen in a very small kitchen. And activities. Like cooking, eating, and talking. 08/02/12 I visit Sarah Jacobs in Islington to collect her books and the bibliography. The bibliography is intended to make evident a body of work. It does this, but it also makes evident a set of questions mysteries. Part of the practice of bibliography, of course, but emphasised here by an artist for whom content is often related to a questioning and exploiting of a books potential and actual distribution. Questions raised by the bibliography itself are expounded when I attempt to correlate the information on its two pages to the table of books Sarah has laid out. The “same” books recur in different formats; some books are missing (explorations of print on demand processes for which there was, it seems, no demand). The exhibition is the only place to see these books. The bibliography is here. Thinking towards some sort of collaboratively authored text around the exhibition, Pigeon, Ladies of the Press, Annexe and VerySmallKitchen spend one evening writing a google document in response to pre-chosen questions. Different coloured cursors move across the screen as seven people in different locations across London and Brighton write, delete and edit. 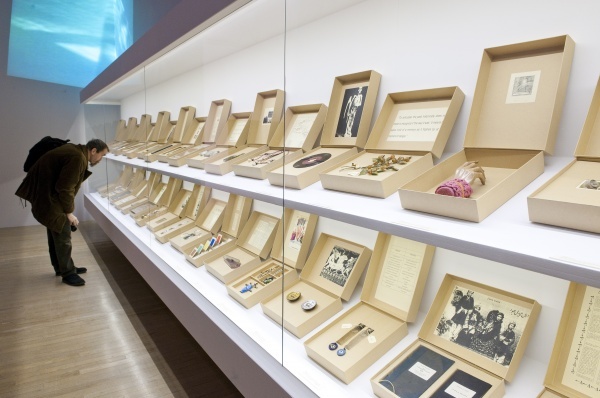 I write: the reason for all these reading room exhibitions, displays of printed matter, is not so much proposing that people read in the gallery – a difficult thing to do because of time and situation – but to construct The Reader (in public) as an exemplary model of the gallery visitor. Is this true? For myself, the live Google doc and the hour we have given ourselves for writing this text encourage such propositions to be later tested and unfolded. Something else we talked about when we met in person was the notion of scene in relation to our different practices, how the exhibition constructs one that does not exist so distinctly at any other time and place. 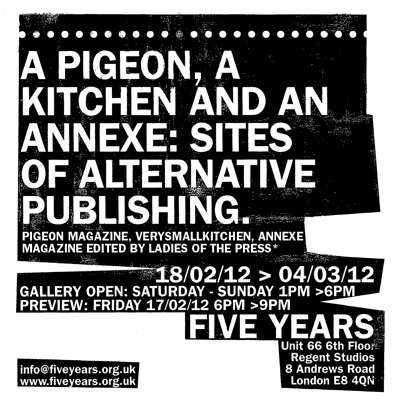 A PIGEON, A KITCHEN AND AN ANNEXE is at the Five Years Gallery, London, from 18th March. Please join us for the Private View on the 17th from 6-9pm. More about Annexe here, Ladies of the Press here, and Pigeon here.